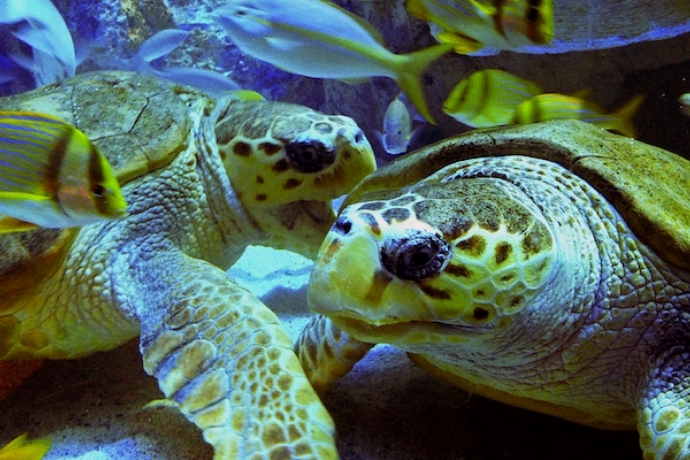 How one turtle’s tale helps promote ocean conservation « Nothing in Biology Makes Sense! Sea turtles are in trouble. They are notorious for swallowing things they shouldn’t and given the amount of plastic that ends up in the ocean this is unlikely to stop anytime soon. But the baby sea turtle at aquariums, like the one at Monterey Bay, are helping people see the importance of protecting these curious little eaters. Read about it over at Scientific American! This entry was posted in conservation, Endless forms most beautiful, science communication.